Hvad: EISC blev grundlagt i 1999 som et permanent forum for inter-parlementarisk samarbejde mellem de Europæiske lande involveret i rumforskning og teknologi. Hvor: Konferencen afholdes normalt i USA, men hvert fjerde år afholdes den et sted i Europa. Hvad: ICES konferencen beskæftiger sig med hvordan mennesker kan bo og arbejde i ekstreme miljøer, i særdeleshed i forbindelse med missioner i rummet og til andre planeter. Konferencen samler folk fra hele verden, som arbejder med habitater, fartøjer, life-support, rumdragter, miljø beskyttelse og overvågning, EVA systemer etc. Hvad: The IAC is the one time of the year when all space actors come together. Global, multidisciplinary and covering all space sectors and topics, it offers everyone the latest space information, developments but above all contacts and potential partnerships. 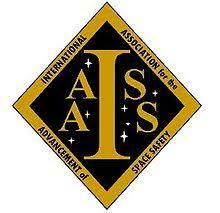 Hvad: The International Association for the Advancement of Space Safety (IAASS, Legally established 16 April 2004 in the Netherlands, is a non-profit organisation dedicated to furthering international cooperation and scientific advancement in the field of space systems safety. Hvad: British Interplanetary Society (BIS) blev grundlagt i 1933 af Philip E. Cleator og er den ældste organisation i verden hvis mål kun er at understøtte og promovere astronautik og rumforskning. 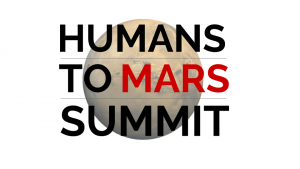 Hvad: The Humans To Mars Summit (H2M) embodies the core mission of Explore Mars, Inc., which is to advance humanity to the Martian surface by the 2030s. The 2019 Summit will feature a diverse lineup of topics, technologies, breakout sessions, and audience participation that will address the future challenges and progress of human exploration of Mars. Speakers will include high-ranking NASA officials, industry executives, experts from diverse fields (including science, engineering, and policy), representatives from the entertainment industry, international luminaries, and STEM education professionals.